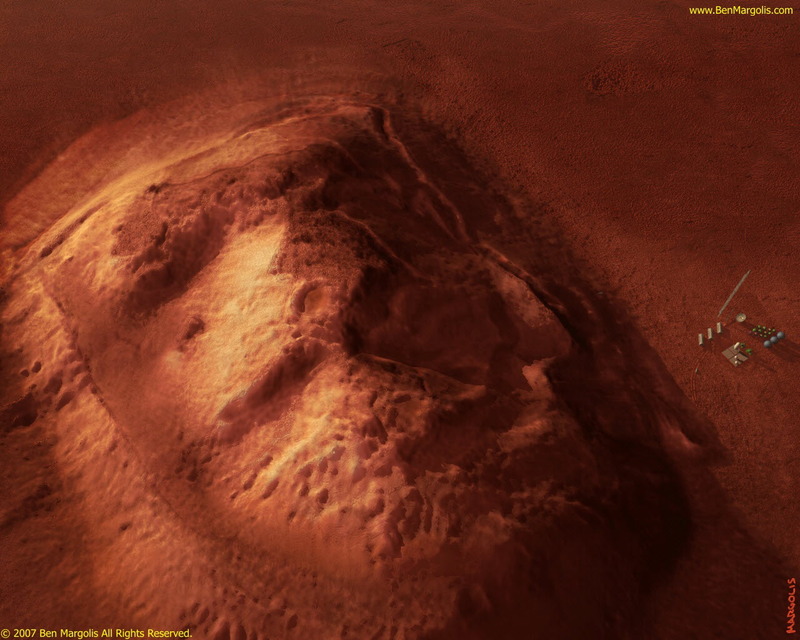 The Face on Mars (i.e. the Cydonia Masif) Rendered from a combination of NASA data sources. The low resolution height field was created by NASA from the original Viking image. I then enhanced it with details from Mars Global Surveyor image E03-00824. Texture details were cloned from satellite images Morocco (for the exposed rock) and The Sahara (for the sand). The color is fictional, as is the Marsbase, (Mars Surface Expedition 39, from Probability Points the Other Way).